London based Sheraz Yousaf draws on his life experiences in a fresh forthcoming style, using humble self-depreciation blended with brilliant comic delivery. He's a solid act that has worked up and down the country in many different comedy clubs over the years, as well as in LA and San Diego. A fantastic act as well as incredible compere, he can hold the attention of any room as an act and create a wonderfully fun atmosphere when hosting the night. 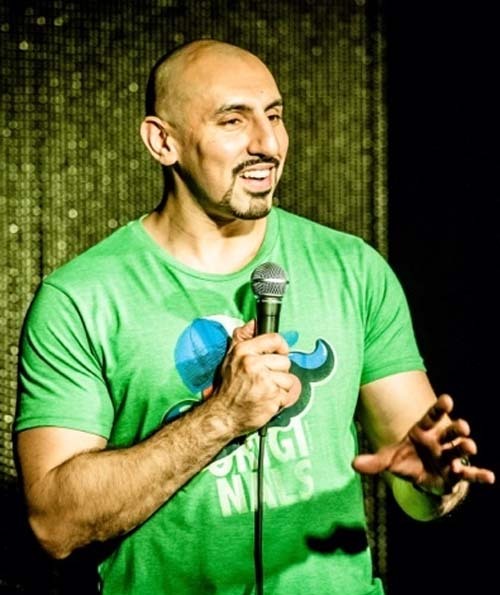 He has performed for the BBC Asian network and every month runs his one hour stand-up show, "The Pursuit of Manly-ness", which he's taken to various comedy fringe festivals up and down the country including Edinburgh.